Give the gift of a JoJo Apple’s Gift Card. The perfect gift for Special Occasions, Holidays and anytime of the year! 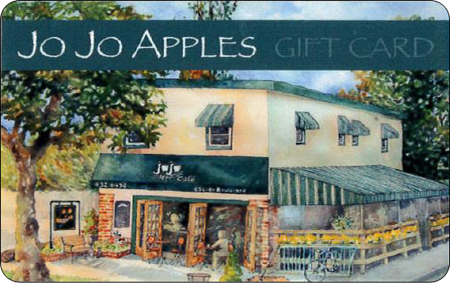 Stop by JoJo Apples to purchase a gift card. For any bulk orders, specific denominations, or questions please call us at 516-432-6494 during business hours.